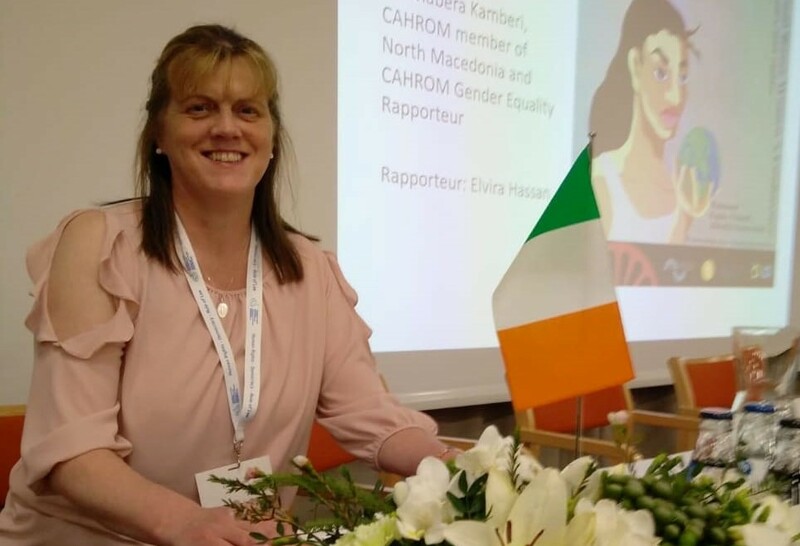 Tessa Collins, Senior Community Development Worker in Pavee Point, addressed the 7th International Roma Women’s Conference as part of a workshop on hate crime and evictions of Travellers and highlighting their impact on Traveller women. “The impact of local authorities not spending the Traveller accommodation budgets allocated to them is devastating, particularly for women and children in the community”, said Tessa Collins. Tessa Collins at the 7th International Roma Women’s Conference. 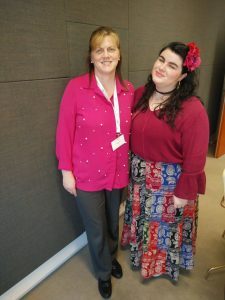 Tessa Collins with Lois Brookes Jones from the UK. “The overcrowding and poor and dangerous accommodation conditions of Travellers puts them at risk in terms of health and other issues – and is used as basis of evictions by local authorities. “The evictions of Travellers must come to an end until the accommodation needs of Travellers are met. Sanctions on local authorities must also be put in place when they fail to spend Traveller accommodation budgets allocated to them. “Safe and adequate accommodation is a basic right but when it comes to Travellers, this is not seen as a priority,” said Ms. Collins. “With regards to racism and hate crime towards Travellers, you don’t need to look far for examples from the every day lives of Travellers. Tessa Collins with other delegates. “Whether evictions or hate crime, these issues are directly linked to deep rooted anti-Traveller stereotypes, prejudice and racism. 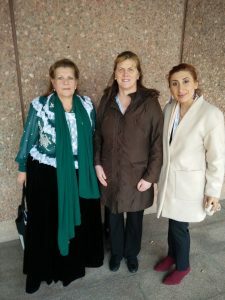 “Yet, we haven’t had a National Action Plan on racism in Ireland since 2008, and no specific action to address the specific form of anti-Gypsyism and anti-Traveller racism, as well as the specific situation of Traveller and Roma women,” added Ms. Collins. 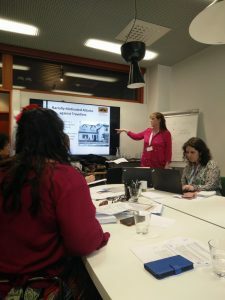 The 7th International Roma Women’s Conference is currently taking place in Espoo, Finland, bringing together Roma and Traveller female activists from across Council of Europe Member States. 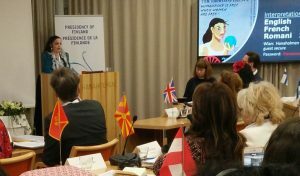 The 7th thematic conference focuses on improving access to justice by Traveller and Roma women.